« HD SDI or IP how do you make an informed choice? 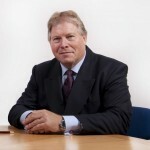 News that Barry Shakespeare the managing director of Norbain SD Ltd, has left the company broke this morning and this has now been officially confirmed by Nigel Palmer who is chief executive of Newbury investments (UK) LTD who bought the assets of Norbain in a highly controversial prepack agreement earlier this year. The current company, Norbain SD Ltd, was bought out of financial administration by Newbury Investments. Also leaving the company is Huw Edwards, who held the role of marketing communications director, and Victoria Bori, human resources director. In a statement released earlier Palmer said that the three directors left the company on Friday 14 September 2012 with immediate effect. He continued that “For sound commercial reasons, it has been necessary to restructure some functions and roles currently carried out centrally at Winnersh,” he stated. Winnersh refers to the company headquarters in Wokingham, Berkshire. Palmer refused to comment further, but this move comes as no real surprise to those in the industry. When Norbain effectively put all their eggs in one basket by committing to IP technology to the exclusion of all other alternatives it left them with nowhere to go when IP ultimately failed to take off in the way that some in the industry had predicted ,not least Shakespeare himself. With norbain weakened and effectively trading when some perhaps believe they should not have been, the writing was on the wall. The rescue package gave some respite for Barry Shakespeare but inevitably this was short lived. So where does this leave “new Norbain”? Well restructuring is going on and this must leave some doubts as to the future of what was once seen as the most powerful company in the CCTV industry. Watch this space for more news and potential revalations as to the goings on in the lead up to the end of Norbain as we knew it. Norbain in trouble, spells the end of Distribution as we know it? This entry was posted on Monday, September 17th, 2012 at 19:18	and is filed under CCTV. You can follow any responses to this entry through the RSS 2.0 feed. Both comments and pings are currently closed.